Green Cruise Lines – You’ve decided that the annual trip will be a cruise this year; but with so many options out there and all of the cruise lines advertising their vacation packages, how are you supposed to know which ship is going to be the best? Are you looking for a family friendly ship? A ship with green practices for your sailing holiday? One that simply meets your destination or cost requirements? With so many choices, it has become more confusing than ever, but there are some great cruise deals on offer for this summer. And remember that prices for cruises can range dramatically depending on the time of year and where you want to go. But you can find one that meets all of your criteria, while still being a green cruise. 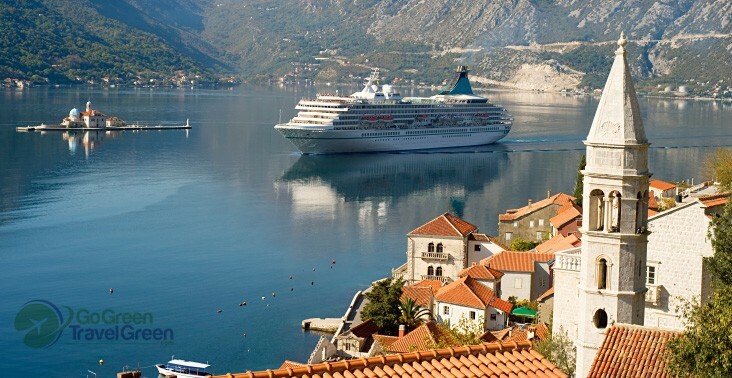 Read on for everything you need to know before you choose a green cruise line. The first thing you will want to be sure of, is that the cruise line is family friendly and has plenty of activities to keep the kids engaged. When traveling with the entire family, you are probably also going to be cost driven. Cruises can be expensive, but finding the right vacation package at the right time of the year can make the cost of the trip a little less expensive. Another thing to consider is choosing a company that is making a conscious effort of being environmentally responsible. Ships host a lot of passengers at one time, not to mention a crew of approximately 500-900 per ship. This makes for a lot of energy being used and a lot of waste. And of course, you also have to factor in the emissions and fuel that it takes to operate the vessel. Royal Caribbean gears its cruises to be family friendly. Kids will enjoy the Dreamworks characters aboard the ship, such as Shrek and the Madagascar characters. There is a youth program called Adventure Ocean which accommodates all ages and can also be used so that parents can enjoy a few hours to themselves. There are family entertainment activities like rock climbing, theater shows, mini golf, and more. The Family Friendly Dining will serve your kids their meals first and then the Adventure Ocean staff will come by and sweep them away to go have some fun while you enjoy a nice quiet dinner and take advantage of the adult time with a comedy show or hang at the nightclub. The cruise line is committed to keeping the environment safe, so guests will find biodegradable and reusable products being used rather than plastics. The ships are using bio-diesel for operations and have taken other measures to operate more efficiently which has given them a result of 8% energy savings. This cruise line partners with National Geographic to bring its passengers on an adventure of a lifetime. This is not your normal lay-in-the-sun type of cruise, the name is exactly what it says — an expedition. The 148 passenger vessel will take you and your family to Galapagos where everyone can enjoy activities such as snorkeling with sea lions, kayaking, and exploring. Instructors provide science lessons with microscopes. Naturalists provide nature lessons and land exploration. Kids and parents can learn about conservation. Speaking of conservation, Lindblad Expeditions is most definitely pulling its weight in conserving energy and the environment. With smaller passenger sizes and a smaller ship size, these cruisers do not use as much fuel or emit as much pollution as a large commercial cruise ship. The meals aboard are made from the local food. They only serve fish that has been harvested in a sustainable way. In addition, they incorporate environmental teachings to the ship’s guests. Holland America has something for the whole family to enjoy. From Alaska, to Canada, to the Caribbean, to Australia, the ships are sure to be setting sail off to one of your dream destinations. Green conscious guests will feel right at home aboard Holland America Lines. The cruisers have done a fabulous job with taking the necessary measures to be more energy efficient and have also reduced waste. The vessels have done things as simple as implementing a towel reuse program to more sophisticated extremes as installing a black water treatment system. For those of you that don’t know what black water is–it is the waste water from toilets. Other, more technical, aspects have been taken into factor too. For example, new route schedules that are shorter and calculate the tide schedule to maximize fuel use and using silicone paint on the hull of the ships which eases the ship through the water, allowing for the engines to run more efficiently. What more could a traveler ask for? You’ve got comfortable room accommodations, plenty of activities, relaxation, a variety of dining options, kid’s activities, and a green ship to boot. Most likely, this is going to be a child’s first choice. If I have to say so, the kids would be making a great choice. Disney Cruise Lines were planned and designed with the family in mind and keeping up with the good name of Disney, they have made some fabulous strides in their commitment to Disney Cruise Lines being green. Kids will enjoy the youth clubs which provide age based activities from 3 years old to teens. There are family lounge areas where each family member can engage in dancing, singing, and games. On certain occasions throughout the year, the kids can enjoy taking their vacation with some of their favorite Disney Channel stars. Disney continues to set the bar higher in entertainment, and that includes their cruise lines being green. The cruise line has made changes over the years to be environmentally friendly from modifying its ships to ease through the water and cut engine emissions to using non-toxic cleaning products. They have revamped and continually work to improve everywhere they can, including saving cooking oil to re-purpose on their private island; generating water from their A/C system to use for their laundry facilities; offering convenient and easy recycling; installing energy-efficient lighting; and donating items from the ship, including furniture, to ports they call on. They even have an environmental officer on board who educates and promotes Disney’s green initiatives. Read about their green cruise line, Disney Fantasy. Celebrity Cruise Lines has been operating its elegant excursions since 1989 and in 1997 merged with Royal Caribbean International. The cruise line prides itself in providing the utmost modern luxury experience for its guests, and at the same time keeping it affordable. The company has a few different classes of ships among its fleet; the Century class can play host to approximately 1,600 guests, the Millennium class has four ships which hold approximately 2,000 to 2,300 guests, and the Xpedition class is a smaller sailing excursion that can accommodate about 90 guests. If you are planning a vacation with Celebrity Cruise Lines, you can choose from destinations such as South America, the Panama Canal, Canada, Australia, Asia, the Caribbean, Alaska, Europe, Bermuda, Transatlantic, Transpacific, and the list goes on. Theme cruises are available for those looking for a particular interest; some themes that have been offered in the past are wine cruises where guests will visit the wine regions of Spain, Portugal, France, and the Pacific Coast. Other themes include food, antiques, or concerts. This makes it fun for guests and at the same time, allows them to interact and meet others with the same interests. While on board or on land at one the ports, guests will not be bored. Some activities that can be found on the ship included casinos, spa, fitness center, pools, water volleyball games, dances, and there is even a youth program for the young ones. While the adults are relaxing in the sun or enjoying a massage in the spa, the kids will be having their own fun meeting others their own age in the healthy food and fitness program, directing their own video in the iTake video project, or playing in the digital game and entertainment room. As with most of the cruise lines, at the ports, guests can enjoy land excursions such as hiking, exploring wildlife and the history of the area, or a guided tour. Although these activities are offered, guests are able to explore on their own as well. Other guests opt to stay aboard the ship. One of the best things about Celebrity Cruise Lines is that while they strive to make the vacations the best they can be for guests, they are also committed to making positive changes for their guests and employees lives by sustaining the environment and knowing that they are doing their part in protecting our planet. Celebrity has been the innovative leader with installing solar panels on their ships. On some of their ships, solar panels are operating the elevators and about 7,000 LED lights. Updating the lights alone on one of the ships has saved over 50% of the demand for energy and the solar panels are doing the rest of the work. The ships are designed to be aerodynamic which improves the efficiency of the engine, as well as saving on fuel. If you are looking for a luxurious experience both on board and on land, and at the same time want to be conscious about how you are leaving a footprint on your environment, you might want to consider booking your travel with Celebrity Cruise Lines. 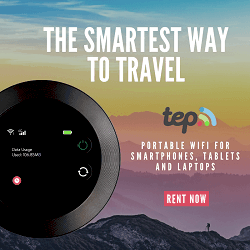 Both Treehugger and Natural Home Magazine have some good articles further exploring these cruise lines if you’re looking for even more information about what makes them green. And read more here to help you decide whether or not to opt for cruise travel insurance. In the past, cruises have been known for being some of the least environmentally friendly ways to travel. But cruise lines, especially the ones listed above, have made huge leaps in the past decade to become greener. If you’ve got your cruise booked and are ready to go here are some tips for being a greener passenger. Remember to do your part to fully maximize the green benefits of embarking on a green cruise ship. Many cruise ships offer a “kitchen tour” as part of the onboard activities. Take the tour and check out how much food goes to waste while your down there. Take only what you can and will eat – If you take a kitchen tour you’ll be amazed at how much food goes to waste on cruises. To help lessen the amount of food that’s wasted, don’t pile your plate too high when going through the buffet line. Cruise ships are tall, frequently 8-14 flights of stairs. While elevators are convenient, easy and accessible, you can save electricity and opt for the stairs. It will help burn off all the buffet line food you ate too. It’s estimated that in one year, the average cruise ship generates 1 million gallons of grey water. That’s a lot of water for just one ship. Do your part and take shorter showers and turn off the water when brushing your teeth. Simply hang up your used towel rather than have it washed after each using. Most cruise ships have convenient and easy recycling. Take the extra effort to take your recyclables to the proper recycling bin. Some cruise ships offer an onboard presentation about the ship’s efforts to be more eco-friendly. If your ship offers one, watch it. The one we went to was fascinating. With the excellent cruisers apps available, there is no longer a need to print out your vacation materials. Save space in your carry-on and save paper too. The summer and family vacations have come and gone, the holidays are over, and all of the family visitors have returned to their homes. This sounds like the perfect time for a little rest and relaxation for just a couple or some friends. There is no better way to enjoy this time away than taking a cruise. This line has the perfect way for the two of you to enjoy each other’s company while surrounded with beauty and luxury. Although you won’t be among only adult company on the cruise liner, Norwegian does provide special perks for couples that want to enjoy their cruise with only adults. The ship offers the Courtyard Villas which is like a boutique-style hotel area and will leave you feeling like you are at a large resort. The villas are positioned so that they are away from the hustle and bustle and busier family areas of the ship. The special perks that come with staying in the villas are rooms that provide a separate sleeping and living area; butler service; a whirlpool tub; an Asian-inspired pool and lounging area that include a Balinese bed and a hot tub; and breakfast and lunch only available to suite guests. Staying in the Courtyard Villas is more expensive than the other common areas of the ship. There are also more affordable options to still enjoy some alone time. Norwegian Cruise Lines offers Freestyle Dining for those couples that don’t want to have an assigned dinner time or have to sit with others at a table. There is an adult only pool available as well. Norwegian Cruise Lines are dedicated to being environmentally friendly. They are sure to be in compliance with environmental practices and have taken steps to ensure they are doing what they can to protect the environment. This green cruise line was the first to install and use an eco-ballast system. What this system does is ensure that there are no toxins in the water that is leaving the ship and going back into the ocean. It also has treatment systems for gray and black water (the water waste from toilets, showers, laundry, etc.) that make it cleaner than municipal drinking water before it is dumped into the ocean. The cruise line was the only one to be approved by the State of Washington to be clean enough to travel the pristine waters of the Puget Sound. Implementing a towel reuse program encouraging passengers to use a towel twice. This reduces the use of water and energy used when doing laundry. Low-flow showerheads have been installed, reducing water usage by up to 30%. Bilge water is being run through two treatment systems before being pumped back into the open waters. Ships are upgrading to alternative engines that reduce emissions output. General Electric has developed a technology that will reduce emissions of nitrous oxide by 80% and sulfur oxide by 98%. Cruise lines are creating specific environmental management plans for going green. When following the plan and maintaining a “green” status, the ship becomes ISO14001 certified. Silicone based paint is being used on the hull of ships. This enables the vessel to travel through the water more easily, and in turn saves on fuel. Some newer ships are also being built with aerodynamic hulls. Some ships have installed solar panels. The panels can be used to power lights or heat pools. Rather than dumping used cooking oil, many cruise lines are using the oil in other ways. Disney Cruise Lines takes the oil to their private island where they use it to power machines. Norwegian Cruise Lines donates it to farmers as part of the “Free Fuel for Farmers” campaign. Ships are using bio-diesel and electric gas and steam turbine engines, which is reducing emissions up to 98%. Ships are replacing older appliances with more energy efficient models. As well as cruise lines having regulations, certain areas are putting restrictions on the types of ships that can run along its coastline. One of such places is Alaska. The state of Alaska has put regulations in place to ensure the beautiful coastline and waters stay that way. Ships must have a permit to travel in this area; the permit is given to say that the cruise line meets air and water pollution and other environmental impacts. Alaska is a role model and has set the standard in preserving and protecting its coastline. Small ship cruises are something else to consider. Learn all about our trip and the benefits of taking a small ship cruise to Alaska. There are many other measures, both big and small, that cruise lines are taking to assure that its ships are contributing to keeping the environment safe. The reputation for these large vessels is getting better, and the measures they have taken to “go green” certainly do not go unnoticed. Improvements are continuously being made to protect the waters and environment. Some cruise lines are even working with government agencies or other non-profit agencies to collect data about the ocean waters. Over time, this can be a good indication of the changes that going green are having on the environment. Cruise lines have gotten quite the bad reputation over the years due to all of the pollution to the waters they travel, the waste that passengers generate, and the emissions given off by the ships. That is all changing as cruise lines are making great strides in going green. Government regulations were put in place for ships to burn cleaner fuel; leading many cruise lines to update fleets, which in turn is saving money on fuel and energy costs. This is just the tip of the iceberg on the family cruises that are available to you. No matter what green cruise line you choose, make the best of it and make lasting memories with your family. I’m sure we will continue to hear more on the continued efforts of cruise lines going green. In the meantime, do your part to be green while enjoying your cruise. This boat would carry tourists across the bay to tour Alcatraz. This unique form of green transportation originated in Australia. Founded in 1999, Solar Sailor is a company that supplies transportation technology. We wanted to learn more about it as we always seek ways to minimize our carbon footprint and love ways to travel green. The type of boats San Francisco is considering could hold about 400 to 500 passengers and are mainly powered by solar energy. There are massive solar wings on the boat to generate electricity. These wings also act as the sails of the boat, catching wind to move them along without accessing fuel power. This method decreases fuel needs by 50 percent and gives off zero emissions when docked. As a back-up fuel source, there are diesel generators which would burn low sulfur diesel fuel. The vessels are also equipped with controls to limit air pollution. Overall, emissions are expected to be cut by 70 percent to 90 percent, according to conventional marine diesel standards; and fuel costs could be reduced by 40 percent to 60 percent. The company “Solar Sailor” does not take part in actually manufacturing the boat itself, but rather they just build the sail. These solar sails can come in all shapes and sizes and depending on the size of the boat can have up to eight sails or as little as one sail. The talk is that the initial San Francisco boat would have one sail that would be approximately 15 meters high. One of the boats that is in operations in Sydney, Australia has eight shorter sails which can be operated in unison or operated each individually. I know that all of the statistics and numbers might be a bunch of jibber jabber, but all in all, this vessel seems to be a wonderful answer to reducing emissions and fuel costs. Not to mention, I read about it and thought it was a cool and unique type of boat. Something I hadn’t heard of before and also something that would probably attract more tourists to certain sites, just because they would want to ride on something they had never seen before. The one thing I have not been able to track is if the boats have actually been operating in the San Francisco Bay area. The first vessel was expected to arrive some time in 2009, and the second was to follow with the next five years. I do know that these Solar Sailors have been in operation in Sydney, Australia; Newcastle, Australia; and Hong Kong. These vessels have been successfully shipping passengers to and from tourist attractions for several years in these areas. At one point there was talk of New York City implementing the boats to transport tourists to Staten Island to see the Statue of Liberty. I don’t believe that this plan has come to fruition as of yet. I believe that Solar Sailor is on to something big here, and if some of this technology could be implemented into larger cruise lines making them into green cruise lines, this could be a great addition to keeping our environment clean. Any transportation that works to reduce emissions makes a huge impact. Sailing over the sparkling southern coast of Turkey in a traditional Turkish gulet boat is one of the highlights of any Turkish vacation. The region known as the Turquoise Coast or the Turkish Riviera, is one of the most stunning stretches of coastline in the world. It encompasses the area between the seaside resort of Bodrum to the modern city of Antalya. There are countless beaches, bays, and traditional villages, backed by the hills, valleys and the magnificent Taurus mountain range. The region has attracted sailors and boating enthusiasts for many years. A Blue Cruise is the best way to see the area. Many options are available from Private Yacht Tours to Standard Cabin Charter to sailing holidays. Also, you can choose from many interesting itineraries. For less sailing time and more swimming and exploring time, the Fethiye 4 day/3 night 12 Islands cruise is ideal. 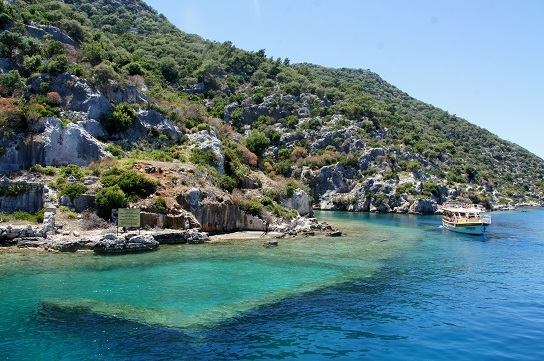 Just outside of the bay of Fethiye are several scattered islands popping up out of the sea like green lumps of sugar. Some are home to ancient Byzantine, Greek or Roman ruins. Others are uninhabited paradises. This route will take passengers from Fethiye’s bustling harbor to these small islands, stopping for swimming, snorkeling and walking. You can anchor in beautiful secluded bays overnight and later return to Fethiye. Some of the highlights of the 12 Islands are the Yassica (Flat) Islands, with sandy beaches, shallow waters and a naturally formed swimming pool. Tersane Island is a great place to go diving. Below the sea you can find the ruins of an Ottoman/Seljuk dockyard and maybe a sunken battleship or two. At Cleopatra’s Bath/Hamam bay, you can bathe in the same location as the Egyptian queen. At the end of the day, you can watch the sunset over the glowing hills of Red Island. Bodrum is a popular resort town, with lively nightlife and ancient ruins. Cruises leave from Bodrum. 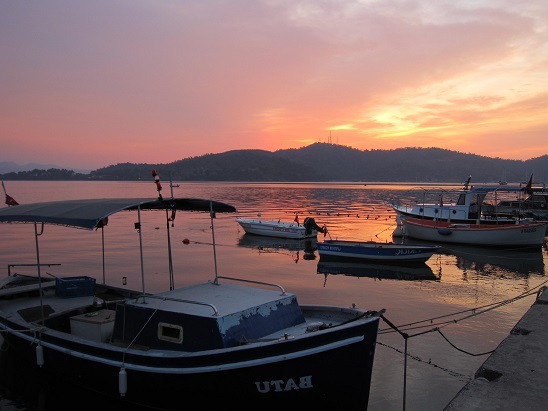 You can either explore Turkey’s Gokova region, calling at the English Port, a sunken war-craft cemetery and fantastic diving area, Tuzla Bay, one of the most wonderful bays in the region. Or you can explore Kara Island, home to mineral rich mud baths. It is said that bathing here can make you look 10 years younger. Another option is to cross the Aegean Sea and visit some Greece’s charming islands before returning to Bodrum. Cruises typically run from 5 to 8 days. There are itineraries available to the northern islands, including Patmos and Lleros or to the southern islands: Rhodes, Kos and Symi. This is a slightly longer itinerary, usually 8 days/7 nights. Passengers can see a large amount of the Turkey’s Mediterranean Coastline. Leaving from Kemer means that you will probably be arriving by plane to Antalya. As the largest city in the region, it is an optimal place to shop for beachwear and anything that you might need for your cruise. Just outside the city is the resort town of Kemer. It’s particularly popular with Russian holidaymakers but your Blue Cruise will take you away from the busy resort. Instead, you can enjoy stunningly isolated locations such as the Hidden City at Andrasan. There’s the Ancient Lycian City of Myra which is based in the tomato growing city of Demre. Also visit the ruins in Kekova region. You will stop to visit turtle breeding grounds. There are pristine beaches in this less-explored region of the Turquoise Coast. 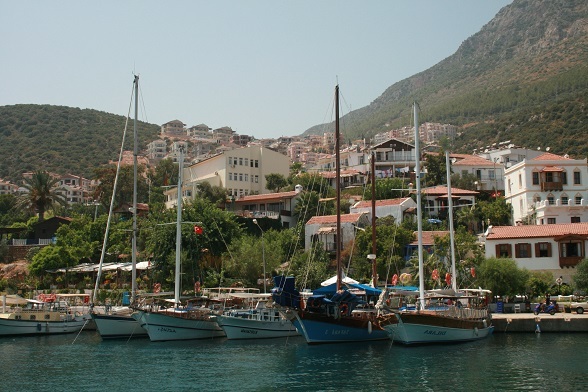 If you don’t have as much time, the Kas to Fethiye Blue Cruise could be ideal for you. Cruises are usually 3 days/2 nights. You will visit some of the most stunning locations on the Turquoise Coast. This includes Gokkaya Bay, located in the Specially Protected region of Kekova. The region is home to some idyllic bays and fantastic sunset spots, such as Liman Agzi which is surrounded by rugged green hills. It is known for its calm waters and beachside bar. Your wooden gulet boat would also take you close to the Sunken City. Here you can look from the top deck and see the ancient city walls sitting just below the surface of the water. Then cruise across the Gokkaya Bay to the Castle Village (KaleKoy) and climb to Simena Castle for spectacular views over the azure blue sea. You may also stop in Aquarium Bay. It is located nearby the modern fishing town and of Kas, which is a fantastic swimming spot. This bay has earned its name from the incredibly transparent waters which are abundant with sea life. By snorkeling and swimming, you may be able to spot red mullets, octopuses, starfish, damselfish, and clownfish. Diving down to the sea bed you can even find stingrays hiding in the sand. On the way to Fethiye, boats also stop at the butterfly valley. It’s home to the Jersey Tiger Butterfly and Oludeniz, the famous blue lagoon with its richly hued water and beautiful corals. People consider this area to be one of the best paragliding spots in the world. Whichever itinerary you choose, there is no doubt that your Blue Cruise will take you to multiple locations of outstanding natural beauty. You will be impressed by the refreshing waters, stunning cliff caves and incomparable panoramic views. Traditional wooden gulets also vary on size and facilities. Take your time to explore and find the cruise which is right for your Turkish vacation. Environmental rules for your sailing holiday is an incredible sport to engage in, and traveling by boat allows you to be hugged by clear waters, scenic landscapes, and breath-taking natural environments. A lot of people choose to sail to feel that raw connection with nature and the water, to experience the diversity of the wildlife and to get away from it all. All of these wonderful feelings are sharply juxtaposed with a massive global problem – water pollution. If you disembark on any island today and walk along its shores and beaches, you’ll find the sight of trash washed ashore from the ocean a saddening one. The clear waters have been ruined, boats have been having a negative impact on the waters, and plastic pollution has become the largest threat to face our oceans. That all doesn’t mean that you can’t go on a sailing trip without being eaten by feelings of guilt. In fact, it’s quite easy to turn your trip into an environmentally friendly one. Everyday, more and more travelers and sailors come to the realization that their actions are negatively impacting the oceans and their journeys. This all led to constant efforts to try and prevent the damage, specifically by spills and plastic, and introducing new environmentally friendly methods. The good news here is that you can make a difference. You can help prevent the threats facing our oceans, and you can be a direct positive impact! 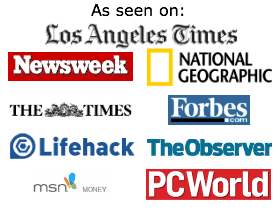 We are here to let you know exactly how you can do that. Plastic pollution is without a doubt one of the largest threats to the ocean. The fact that they do not erode, they never breakdown and they stay in their same form, harming all types of marine life, means that you need to be extra careful! While packing for your cruise, forget all about single use plastic. Do you know those plastic cups, plates and forks? Bring with you re-usable plates, water cups, and flatware. Most yachts don’t have sanitary tap water to drink and the use of water bottles ends up becoming a necessity. Therefore, instead of using plastic water bottles, use reusable ones and fill them up according to your own pace. There are excellent stainless steel water bottles available. It’s never a pretty sight to see an empty plastic water bottle floating around the water, a never-dying toxin ready to ruin the oceans as we know them. Before going on a sailing trip, you’ll probably have researched the place you’re going and the type of marine life you’ll encounter. Make sure you know the most prominent animals and coral reefs and what specifically annoys/disrupts them and avoid that. It will also be a great opportunity to educate yourself and your kids about the benefits of learning more about wildlife, all while keeping the ocean and its inhabitants safe. It will also help you learn about places where it’s dangerous to take your boat to. Of course, you want to charge your phone, your sister wants to charge her camera, the refrigerator needs to run, your laptop is plugged in… etc. I really do understand our constant need for being connected with electricity and technology. However, the best part about sailing is finding this perfect little spot in the middle of nowhere in the sea, turning off your engines, and letting the boat float aimlessly around as you enjoy the serenity and the slow rocking. That would also be an incredible option if you were going on a holiday where dozens of sailboats are practically next to each other, so you can even end up making friends. You have to be rational with your use of the electricity, and you need to give your engine a break – for the environment. What you can do is either use renewable energy, or throw out an anchor. A lot of the cleaning sprays used for boats use toxic ingredients that harm the environment and the ocean. Thus the more regularly you rinse your boat and keep it clean, the less likely you will have to use those detergents with their toxic ingredients. You won’t have to use a lot of soap that will interfere with the boat’s wax and harm the environment. If you have to use soap, however, check for the EPA Design for the Environment logo. Try to save fuel as much as possible. You can do this by avoiding driving at excessive speeds. It’s better to drive slowly, enjoy the scenery, conserve fuel and save the wildlife! Not only is it advisable to reduce your speed, but it’s also extremely important to navigate very slowly and carefully around the marine life that you may encounter so as not to disrupt their peace. A lot of boats end up leaking, and you have to try your best to avoid the leakage that comes with having a boat. Use a funnel or safety fill nozzle. Have a spill kit with you. Always check on fuel lines and transmissions before starting your trip. Have a mechanic inspect the boat. Always make sure the water around you is clear. The more eco-friendly products you’ll have with you on board, the better. Think natural soaps, natural shampoos, natural moisturizers, and much more. If you think it’s not worth splurging on those products, think of the fact that every single product you will use will literally end up in the sea. Every night, you will have to choose a place to settle in and decide where to throw your anchor. A lot of sailors mistakenly drop their anchors without looking, thus disrupting the wildlife below and causing damage. Instead of using anchors, take a mooring. If you absolutely must use an anchor, make sure you set it in the sand not in the reefs. You can check that by using snorkels and a handy flashlight. If you are not going to be splurging on all those environmentally friendly products, then at least make sure your sunscreen does not include Oxybenzone. This ingredient is common in most sunscreens and is harmful to the coral reefs. Wearing safer sunscreen is important due to the fact that you will be wearing it pretty much the entirety of the time. Choose sunblock with zinc oxide. What if you do end up having plastic on your boat with you (which you probably will)? Well, the least you can do about having harmful plastic on the boat is keeping a steady eye on it. Be certain none of it blows into the water. Gather your recyclables in one place, and find a recycle bin when you dock. Do you have your own boat? If it yours, repaint the bottom of your boat with environmentally friendly paint due to the fact that the paint usually used is toxic to the animals. Do not throw any food into the ocean! Make sure your food leftovers are sealed in glass jars to dispose of when you dock. Adopting all of these steps will help you have an environmentally friendly trip, will reduce your environmental footprint, and will make you feel a lot less guilty about embarking on this trip. You’ll be the change you want to see in the world. Additionally, you may inspire others to make positive changes too. What is a small trimaran sailboat? Ever wanted to try sailing? Learn where to sail a small trimaran sailboat here. Trimaran sailboats are simple, safe and fun. The boat has two small hulls and one larger main one. With trimarans you can go where you want to go under the power of the wind. They can be designed for racing or recreation. You steer with your feet, and you will not tip over because of the three hull design. The smaller models weigh approximately only 100 pounds and can be carried on top of your car or in the back of a pickup. It is easy to take anywhere. Where are the best places to sail a small trimaran sailboat? Many lakes have public access or a park where you can put your small trimaran sailboat into the water from shore or a dock. Lakes are great places because generally you won’t have to pay large fees or wait long to get into the water. The simple foot-steering and single handed control of the sail allows someone with no experience in sailing to learn in about 15 minutes. This makes learning in a harbor ideal. Harbors are typically protected from strong winds and the size and responsiveness of the trimaran allows for easy maneuverability. Florida, for example has wonderful wide rivers which seem more like lakes and act as inter-coastal waterways. These are protected from large wave action and wind is often predictable. You will find sailboats of all sizes in ocean bays. Think San Francisco Bay, Tampa Bay, Bellingham Bay, or Chesapeake Bay. The open area allows for lots of wind to pick up speed, plenty of room to move about, plus other friendly sailors to wave at. If you live near a bay, chances are there are lakes to enjoy as well. Only if you are an experienced sailor should you consider taking your small trimaran sailboat into big ocean surf along a coastline and act like a surfer. Ride the waves in, then sail yourself back out. Think of all the time you will save from paddling! Staycations are great fun when you own a trimaran and live near a body of water that makes it safe to enjoy sailing it. When we lived in Bellingham, WA, I could have imagined owning one of these as there were so many easy places to use it. So many times we own something. Be it skis, golf clubs, a four-wheeler, a camper/RV, and it takes up precious storage space (or we pay for storage somewhere) and we hardly ever get to use it. This can be a fun hobby and activity but it really works when it is convenient and you have the space for it. It can be a great hobby for individuals or couple and even for families. Take the time to learn from an expert before you attempt to sail a small trimaran sailboat. Like taking up snowboarding or anything, a lesson or two can make all the difference. It’s also important to respect nature, especially when we are using it for our recreation. Our lakes, rivers and oceans are a tremendous natural resource which we need to appreciate, protect and enjoy.